It's a struggle getting your first job out of college. For many of you, it'll be the first job (the first real job) you'll have. Combined with a shaky economy, a job market pretty hostile to millennials, and the simple stress of getting out on your own, getting your first position can be tough. The only thing emotionally tougher is making the move to your second. Whether it's the effort of moving on or the trials and tribulations of starting over, moving from one company to another is going be one of the roughest hurdles you'll face, and with the average millennial estimated to have fifteen to twenty jobs in his life, it's one you're going to face a lot. All the more reason to get good at it now and avoid these common potholes as you move along your career path. One of the greatest challenges in moving into your second job can be the simple act of leaving your first one. Whether you love or hate your first job it's still, at the end of the day, a job. Even the most hellish grind still gets the bills paid and puts food on your table. For good or ill, your job is perhaps the one constant in one of the most chaotic periods of your life. You can take comfort in the familiarity of your surroundings, even if the surroundings are lousy. If nothing else, you at least know where you stand. 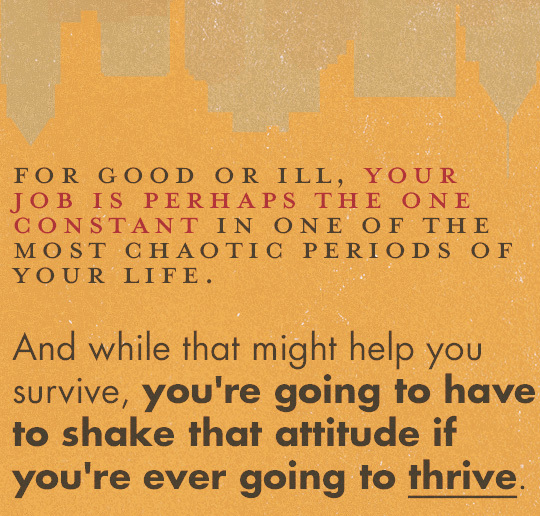 And while that might help you survive, you're going to have to shake that attitude if you're ever going to thrive. It's easy to imagine everything that could go wrong. All the mistakes you might make, all the embarrassment of failing, the shame of having to return to your old job (if they'll even take you back). All these things can make even the greatest opportunity seem more like a death sentence. Then there's the guilt. Your first job represents some stranger having enough faith in you to give you your first break. They called you back when no one else did. They showed you the ropes when no one else had time. By ditching now, are you being ungrateful? You see these people more than your own friends and family. Heck, they’re probably the closest things you even have to friends or family now that you've struck out on your own. You don't want to lose these people, and that's ok. But understand that you can't lose yourself either, and make no mistake, that's exactly what happens when you don't pursue your goals. The very things that make you you get stunted or lost with every opportunity for growth you turn down. Sticking with what you know might seem like the safe bet, but ultimately will make you more miserable and bitter than any botched attempt at daring for something new. Try to remember exactly why it is you're even going for this new job to begin with. A better career path? Well, that beats getting stuck in some dead-end job. More pay or benefits? That's certainly better than having to pinch pennies and worrying if a cough is going to turn into something far more costly. Maybe it's just a chance to do something you'll actually enjoy doing. Something fulfilling. Something that'll give you a sense of pride in your work and a feeling of accomplishment in life. Is that an opportunity you can afford not to take? 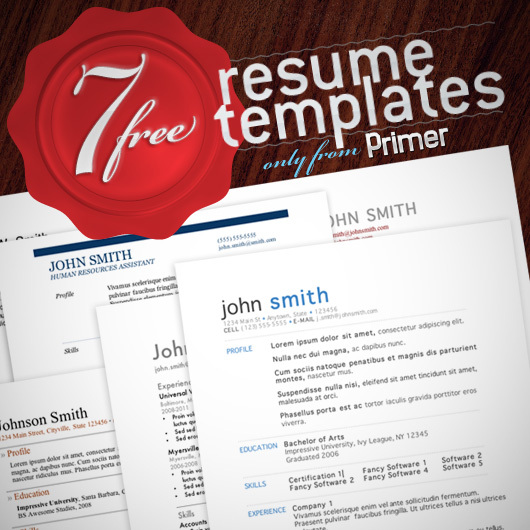 Your first job is where you really establish your identity. You come in fresh, and slowly but surely create a reputation for yourself in the office/plant/restaurant/etc. Maybe you were the go-to-guy. The one with a head for numbers. The office clown. The natural leader. It could even have just been as simple as being the one who knew how to get the vending machine to actually work. One of the greatest frustrations you'll experience at any new job is having to rebuild all that. You will be starting over. While you might have aced the interview, you're still very much a stranger to your new boss and coworkers. For those of you who take a lot of pride in your work this will be especially difficult. You'll find yourself constantly chomping at the bit, wanting desperately to demonstrate yourself as the brilliant, talented worker you are while not wanting to come across as arrogant or presumptuous. If you're not careful, you very well might find yourself simply throwing up your hands in a fit of resentment and resigning yourself to only putting in the minimum effort required before clocking out. There are plenty of intelligent and skilled folks out there (and you've probably met a few already) who simply whittle their time away at whatever menial position they happened to fall into. Don't let yourself become one of them. Don't get suckered into being passive and submissive in your second job. It can be tough to break out of the mentality that you're a guest (or worse, a trespasser) in your own place of employment, and the more foreign the territory the more that temptation is going to be compounded. There's a time and a place for politeness, but this isn't it. You don't have the time to simply hope that your potential will be discovered by someone else – you need to make that evident from day one. Ask questions. Mark your territory. Volunteer yourself. Make yourself heard. 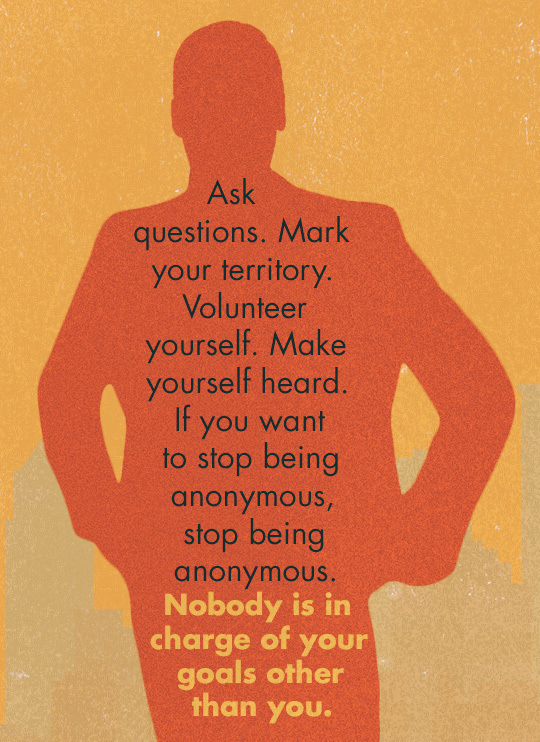 If you want to stop being anonymous, stop being anonymous. Nobody is in charge of your goals other than you. You know the simple, day-to-day activities of your old job? The stuff you just took for granted? The things you could do one-handed and blindfolded? Not even these things will be around anymore. Every company has its own spin on how something should be done, even down to the most basic and fundamental process. The way you write your case notes. The level of bull you have to take from a customer. How many slices of meat is appropriate for a six-inch sub. How strict or lax folks are on breaks. How long a bagged lunch can stay in the breakroom fridge before it becomes fair game and/or a hazard to public health. This is the stuff that'll drive you crazy. The cautious among you will constantly be anxious about breaking the rules and the bold among you will constantly be in trouble for doing just that. And if you let it get to you, it's all going to fall apart. You're going to be sitting there thinking “Dear god, what have I done?” You might even think about going back to your old job. It's been said that an ounce of prevention is worth a pound of cure, and that's amply true in moving to a new position. Simply being aware of, and prepared for, the countless little changes you'll encounter will make them easier to acclimate to. And of course, you can always use them to your advantage. While most companies aren't going to reinvent themselves for your benefit, it'd be hard to find a manager or boss who's not open to new ideas – especially if they can increase profit, save time, or enhance communications. Try bringing up techniques, systems, or shortcuts you used at your last position wherever you find them lacking in your new job. Maybe you used phones that included caller ID and let you more easily keep track of clients. Maybe you had a system in place to make sure you never ran out of inventory. Or it could've been a more convenient way of processing orders, a more successful tactic for closing sales, or even just helping your co-workers manage stress. Introduce these (diplomatically, of course) and not only will you be able to address your annoyances but look brilliant while doing it. While it will vary from company to company and from situation to situation, it's not unlikely that your new employer will be wanting you to start as soon as humanly possible. On their end, an open position means that they're either losing productivity on the work not being done or paying someone else extra to get that work done. While pushing to get you started quickly might benefit the company, and even seem to benefit you (no work means no income, after all), the subsequent rush can be absolutely hellish for you. You're likely to find yourself trying to get comfortable with your surroundings and doing the work itself and getting trained to do it the company's way and filling out a small mountain of forms and documents all in the first month. While 30 days might sound like more than enough time, with only eight hours in the day (less, depending on how you get your lunch or breaks), you can easily be overwhelmed. To make matters worse, you're likely to start slipping up and panicking as deadlines begin looming on the horizon. While there are certain elements you can absolutely salvage, more major issues, such as choosing your benefits or completing mandatory training, are a lot less forgiving. Time management is going to be essential in any job, but perhaps at no time more than in your first few weeks. As much as you might be tempted to simply take things easy, you're going to have to charge headlong into duties if you want to avoid being swamped later. Find yourself with a free half-hour somewhere in the day? Use it for something productive. Know that you still have those pesky I-9 forms to fill out? Try to get copies of your social security card and driver's license printed out ahead of time and pester HR until they give you the papers. Have some fire safety course you're required to take? Pop in half an hour before work or stay a few minutes after to make sure it gets done. Free time is something you so rarely get to enjoy in any job. Spend a few minutes now to save yourself hours down the road. We hear a lot about the “fear of change” in our society, but it's not the “change” we're afraid of – it's the brief period of temporary discomfort we feel as we acclimate to the change. As this clip from the BBC show Black Mirror exemplifies, the worst part of jumping in the pool is the first few seconds as we get used to the change. After that, we're glad we jumped in. Go to school. Get a job. Go to war. Come back to that same job. Work. Retire. Die. Not the most elegant or easy life, but definitely not a complex one. In the grand scheme of things, you could count on knowing where you stood. These days – not so much. 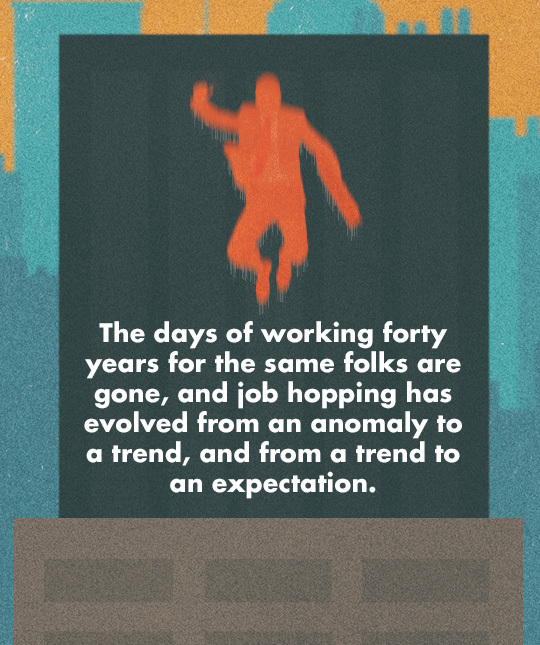 By and large, the days of working forty years for the same folks are gone, and job hopping has evolved from an anomaly to a trend, and from a trend to an expectation. The vast majority of you (whether you like it or not) will bounce from place to place. Being able to transition and accustom yourselves to our new environments with speed and ease isn't just an important skill, it's an essential one. And while chaos, irritation, and doubt will always gnaw at you, you do not have to be consumed by 'em. Don't give up and don't stop moving (it's always been staying still that kills you anyways). Know what to expect and how to adjust to it with grace and there's nowhere you won't be able to go. I can’t tell if tips included here worked for those changing job, but i find them very interesting for me – guy who’s about to start first job. I’m definitely gonna use this. Moving from my first to my second job I found easy – still junior enough to be able to get away with things. Now I’m moving to my third proper job at the age of 28, in a manager role, I’m finding it harder – for instance, I’m going to need to be a lot more on the ball as soon as I arrive, and I need to be sure that the job I’m going to is actually one that would be a good move for me, as I’m in a comfortable position at my current place. I’m hoping life and decisions like these will get easier as I get older! If you haven’t, read “The First 90 Days”. Great book in your situation. This is so well timed for me right now as I am on my second week of my second (real) job. The hardest part was as this article started – making the decision to leave/break-up with the first job, and it is for all the reasons described. However, I realized that at some point I just have to do it, and did just that. Can’t express enough how this has helped me get through my 4th day at work. Thank you for writing and thinking of people who go through this kind of anxiety. I’m in the middle of deciding if I should make the leap to my “real” second job and this article couldn’t have been more helpful. Thank you! Great article. This is exactly where I am at right now. Love the jumping in the pool analogy!